I hope this chilly day finds you all well! It is one of those curl up with some hot chocolate and a cozy quilt kind of days! I didn't get to write to you all yesterday as we were traveling! But I had a chance to grab the computer for a few - so I thought I would drop you a quick note! Wooly Block Adventure starts today! Just like before, simply visit any participating Wooly Block Adventure™ store this fall October 16 - December 15, 2017 to receive one 8-inch wool appliqué block pattern for free! But wait... visiting the shop is not the only way to receive a shop’s Wooly Block pattern. Patterns and kits may be purchased online and by mail order during the event! You do not need to be near participating shops to have fun and collect with Wooly! 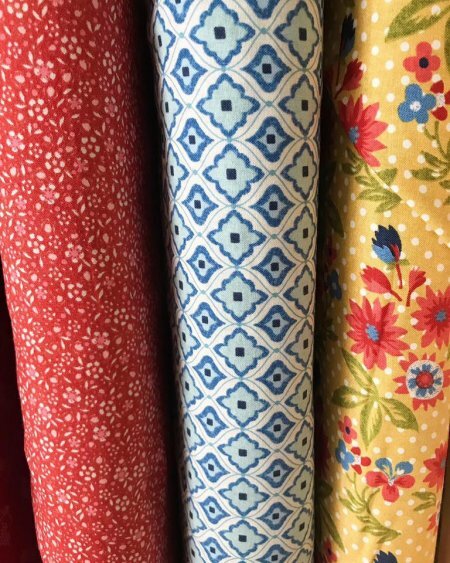 We've gotten some gorgeous fabrics in to go along with the Biscuits and Gravy Pre-cuts! These beautiful prints have a fun vintage vibe to them! 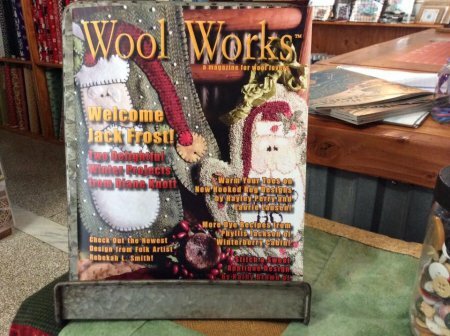 We've also got the latest from Wool Works magazine in! You won't want to miss this issue! 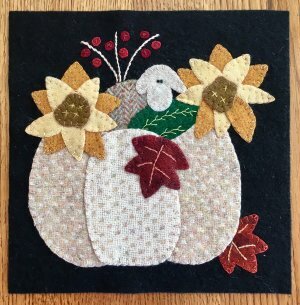 Jam packed with wool applique and hooking patterns, there is a fun Holiday pattern for everyone! Do you have a sweet spot for pre-cuts?? 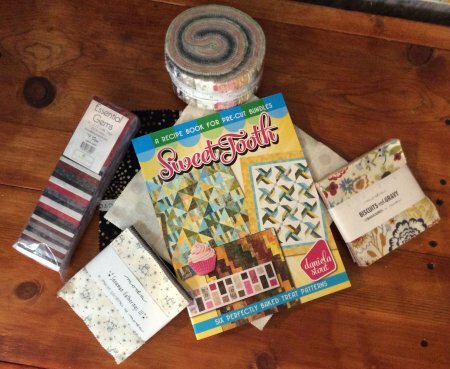 Check out the NEW Sweet Tooth book packed full of patterns featuring those fun pre-cuts! The Holidays are around the corner grab a book and a pre-cut for that quilter on your list today! 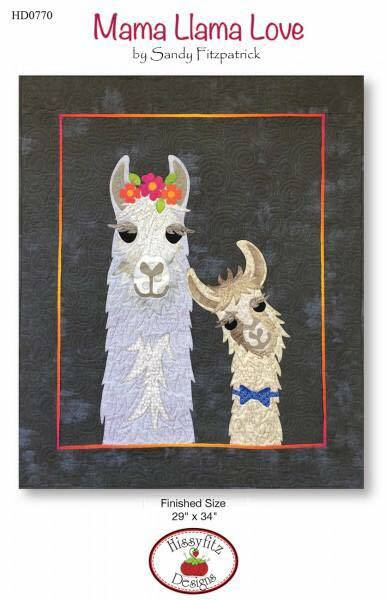 And let's not forget the fun Mama Llama Love pattern! Who can resist these darling furry creatures? We've also released block #9 of the Count Your Blessings Mystery BOM! I hope you all are getting excited to see how this finishes...only 2 more months to go! Local ladies - come on by to get your kits! I hope you all have a wonderful rest of your weekend! Enjoy some time in your quilting space with some hot tea or cocoa!